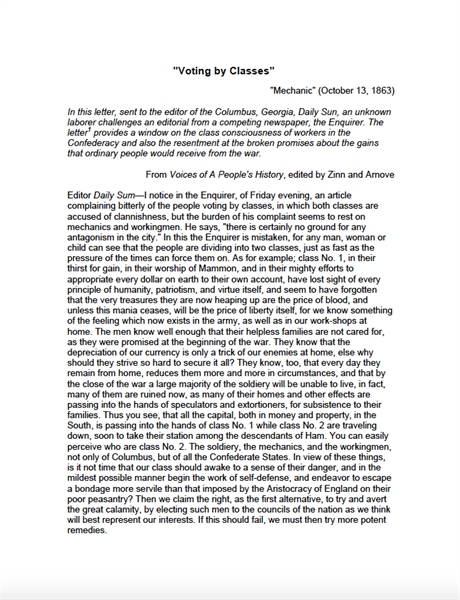 "Mechanic" (Unknown), "Voting by Classes" (October 13, 1863) . In Columbus [Georgia] Daily Sun, October 13,1863, p. 1. Hinton Rowan Helper, The Impending Crisis of the South (1857). First printed in New York by Burdick Brothers in 1857. 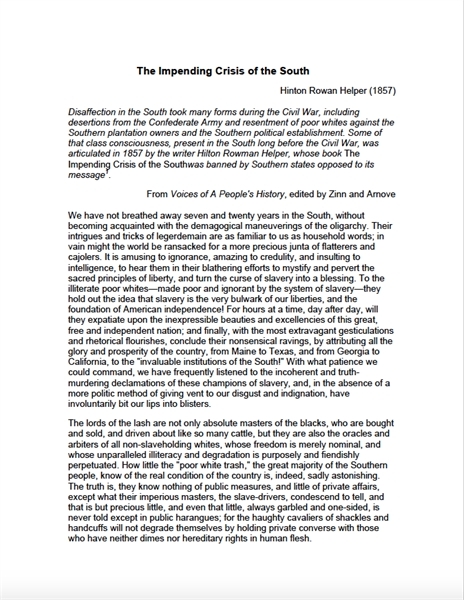 Reprinted in Hinton Rowan Helper, The Impending Crisis of the South: How to Meet It, ed. George M. Frederickson (Cambridge, Massachusetts: The Belknap Press of Harvard University Press, 1968), pp. 42-46. 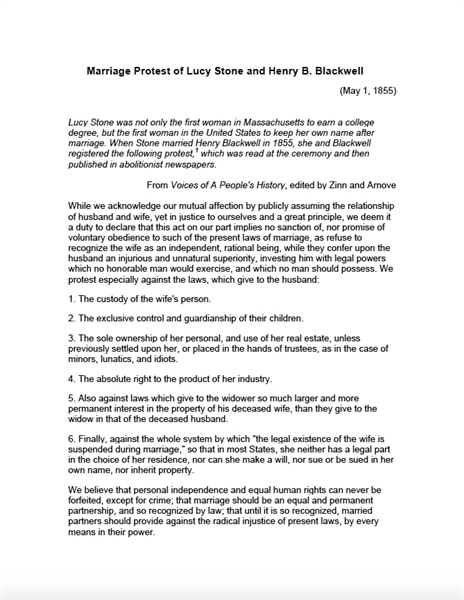 Marriage Protest of Lucy Stone and Henry B. Blackwell (May 1, 1855). 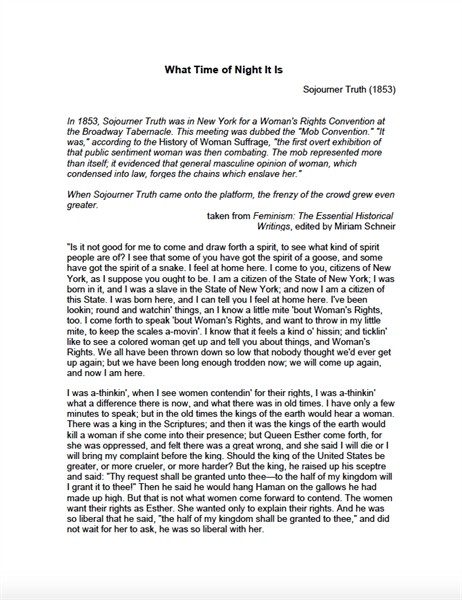 Quoted in T. W. Higginson, "Marriage of Lucy Stone Under Protest," The Liberator (Boston, Massachusetts), vol. 25, no. 18 (Whole no. 1085) (May 4, 1855), p. 71. 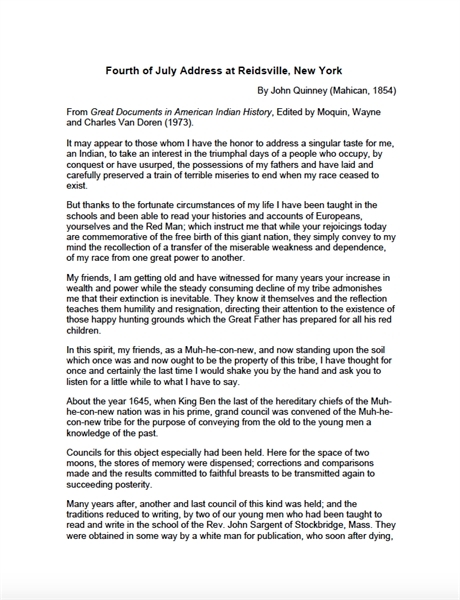 From Great Documents in American Indian History, Edited by Moquin, Wayne and Charles Van Doren (1973). 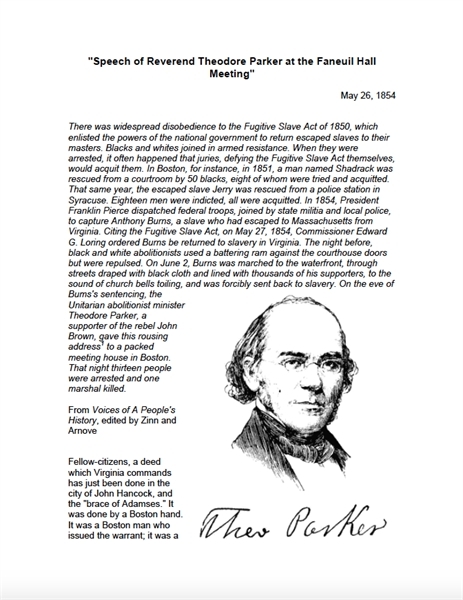 "Speech of Reverend Theodore Parker at the Faneuil Hall Meeting"
Reverend Theodore Parker, "Speech of Theodore Parker at the Faneuii Hall Meeting" (May26,1854). In Charles Emery Stevens, Anthony Burns: A History (Boston: John P. Jewett and Company, 1856), pp. 289-95. 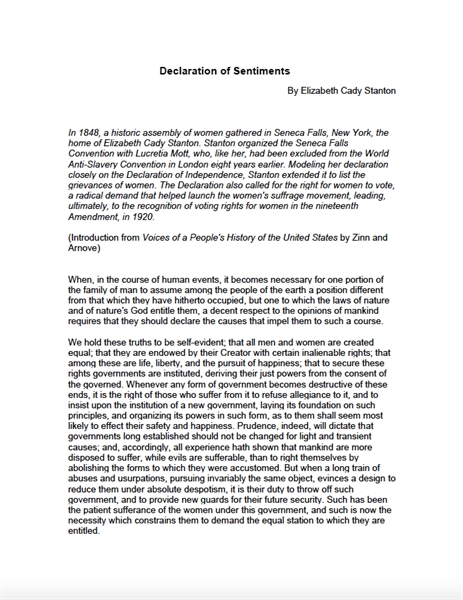 This report is from volume 1 of Stanton, Anthony, and Gage's History of Woman Suffrage. 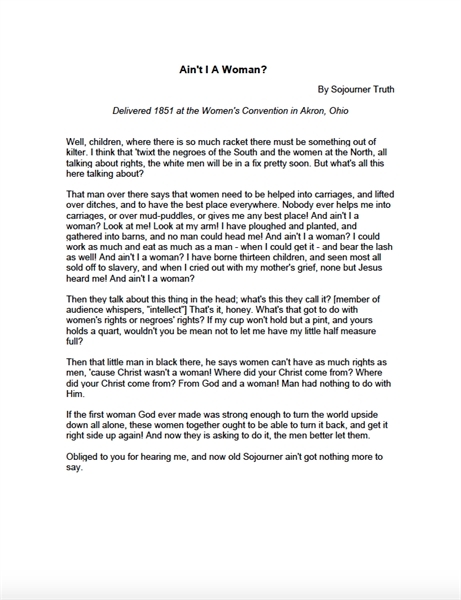 It is a brief account of Sojourner Truth's address at the convention of 1853 in New York. It is sometimes called the Mob Convention, because the audience consistently hissed at the speakers throughout the convention. 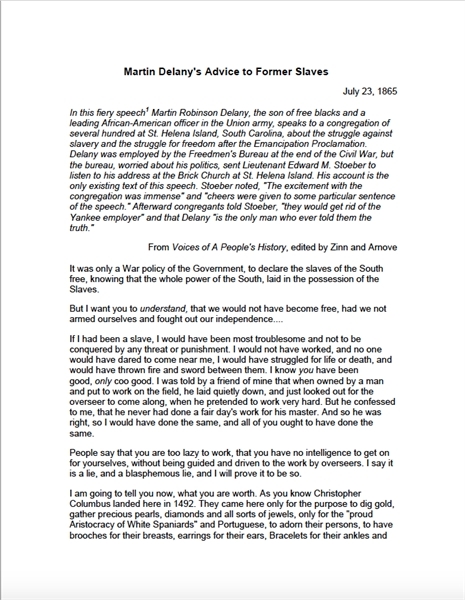 The text, like many others of Truth's were written later from memory and from newspaper reports. 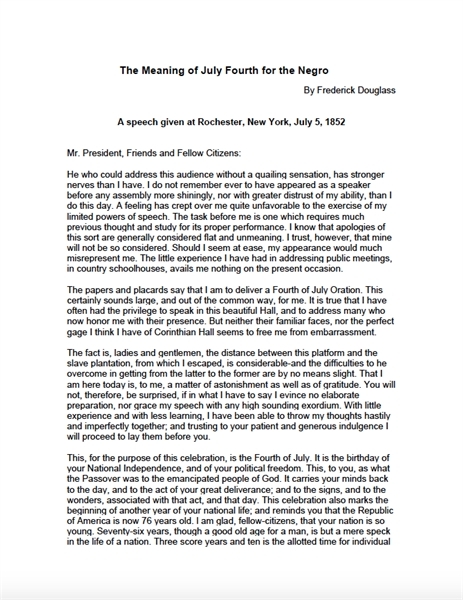 A speech given at Rochester, New York, July 5, 1852. 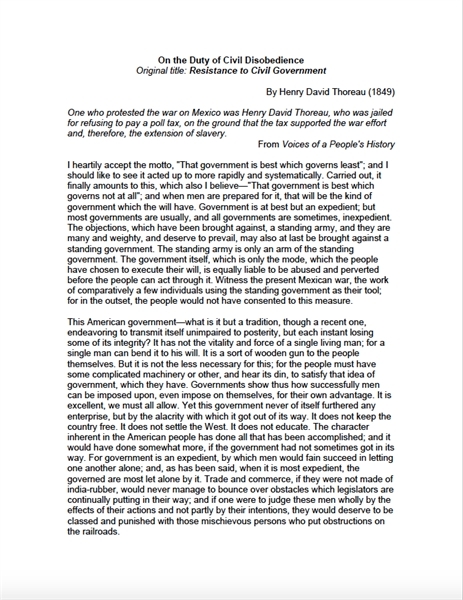 In 1848, Thoreau gave lectures at the Concord Lyceum entitled "The Rights and Duties of the Individual in relation to Government". This formed the basis for his essay, which was first published under the title Resistance to Civil Government in 1849 in an anthology called Æsthetic Papers. S. Margaret Fuller Ossoli, Woman in the Nineteenth Century (1845). In S. Margaret Fuller Ossoli. Woman in the Nineteenth Century: And, Kindred Papers Relating to the Sphere, Condition and Duties. 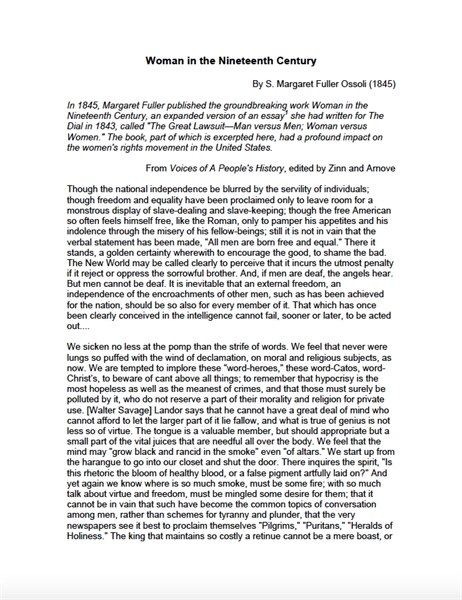 of Woman, Arthur B. Fuller ed. (New York: Greeley and McElrath, 1845), pp. 25-30. The sisters Sarah and Angelina Grimké were not only outspoken abolitionists, denouncing the evils of slavery, but were early advocates for women's rights. 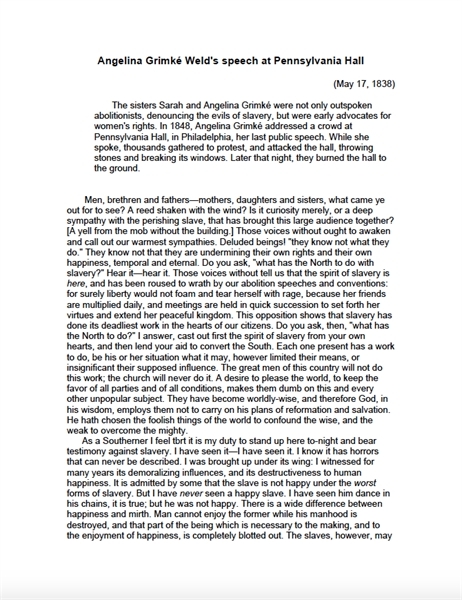 In 1848, Angelina Grimké addressed a crowd at Pennsylvania Hall, in Philadelphia, her last public speech. While she spoke, thousands gathered to protest, and attacked the hall, throwing stones and breaking its windows. Later that night, they burned the hall to the ground. 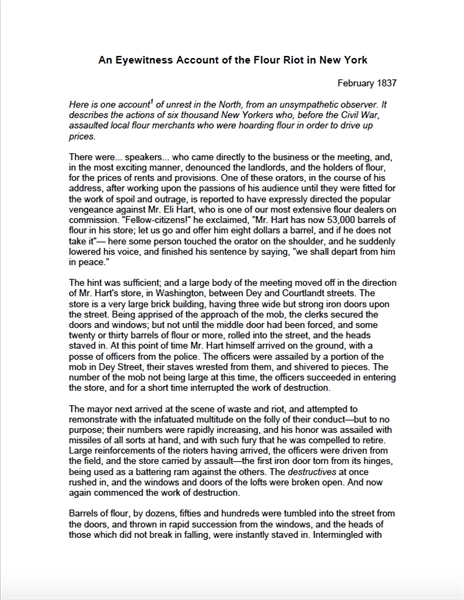 An Eyewitness Account of the Flour Riot in New York (February 1837). 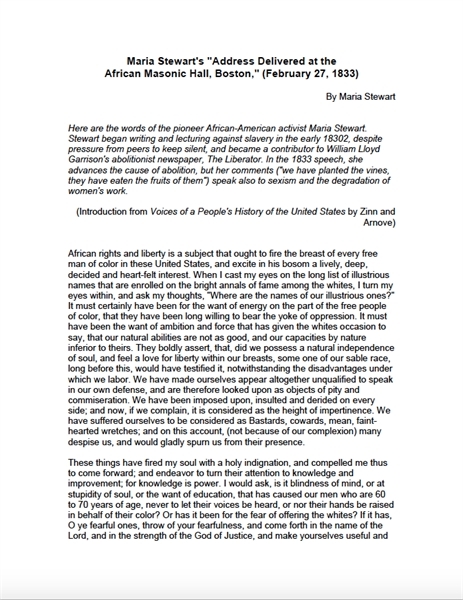 First printed in the Commercial Register (New York, New York), February 14, 1837, and then in Niles' Weekly Register (Baltimore, Maryland), 5th series, voL 1, no. 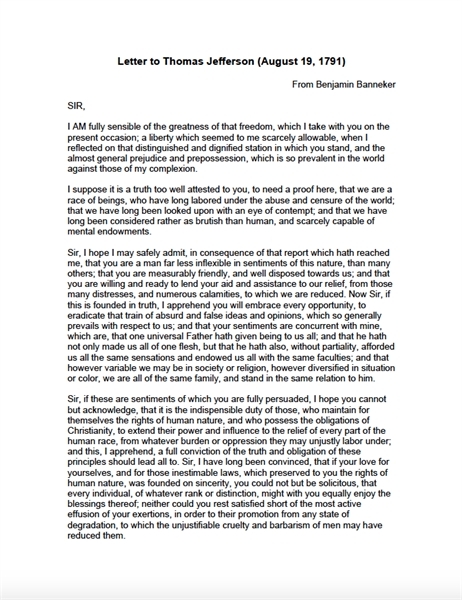 26 (February 25, 1837), pp. 433-44. 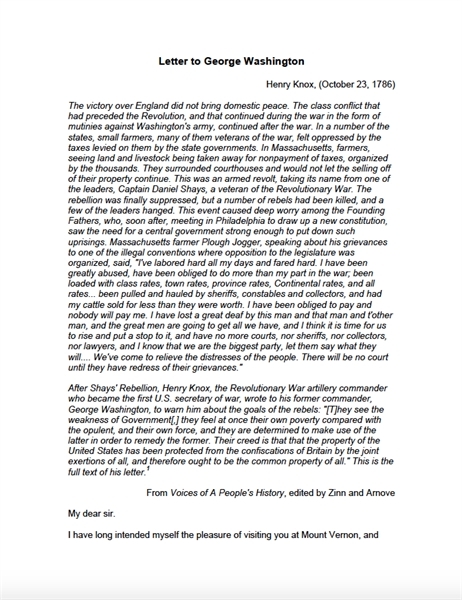 Henry Knox Letter to George Washington (October 23, 1786). In W. W. Abbott and Dorothy Twohig, eds., The Papers of George Washington: Confederation Series, Volume 4: April1786-January 1787, vol. 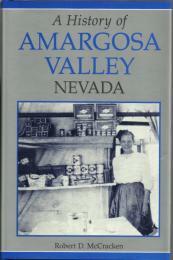 4 (Charlottesville, VA University Press of Virginia, 1995). pp. 299-302. 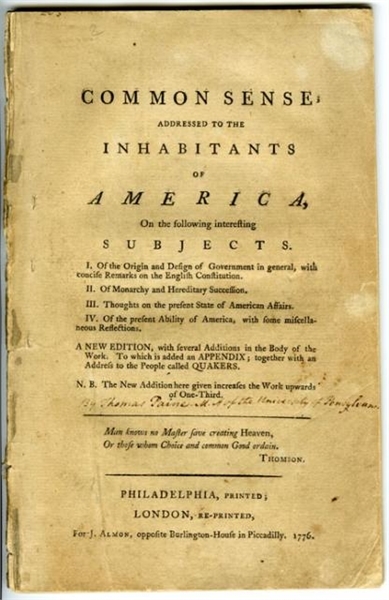 By Thomas Paine; Published in 1776, Common Sense challenged the authority of the British government and the royal monarchy. 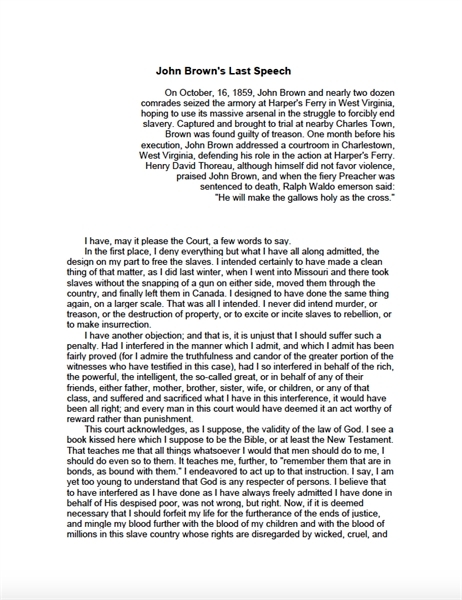 The plain language that Paine used spoke to the common people of America and was the first work to openly ask for independence from Great Britain.